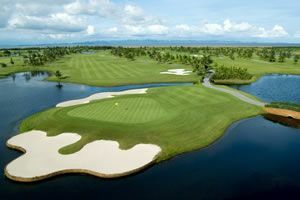 Bangkok, March 31 — The first competitive event played at Siam Country Club’s Waterside course near Pattaya, Thailand, has underscored just how good is Asia’s newest golf course. 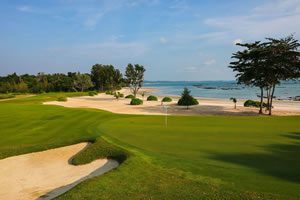 The Pattaya Amateur Week tournament in mid-March featured the new IMG-designed layout as well as Siam Country Club’s two existing courses and two others in the Pattaya area. Waterside, which is in soft opening stage before officially opening in May, drew widespread praise from the 80 participants who came from 10 countries including Australia, the Philippines, Singapore, Malaysia, India, Hong Kong, Thailand, Indonesia, the United States and Great Britain. “Another unique layout to go with the other two championship Siam courses. Thanks for the opportunity to be the first group competition here,” said Matt Pitt of Victoria, Australia. “I can’t wait to play it again next year when it’s officially opened,” said fellow Victorian, Gary Bennett. Indeed, it is. Lakes, ponds and creeks feature on 12 of the 18 holes. But the water only comes into play if you take it on or seriously mis-hit. The 320-yard par-4 9th hole is a classic example. Playing dogleg right over a large lake from the tee, the water is only a problem for over-aggressive or poor tee shots. 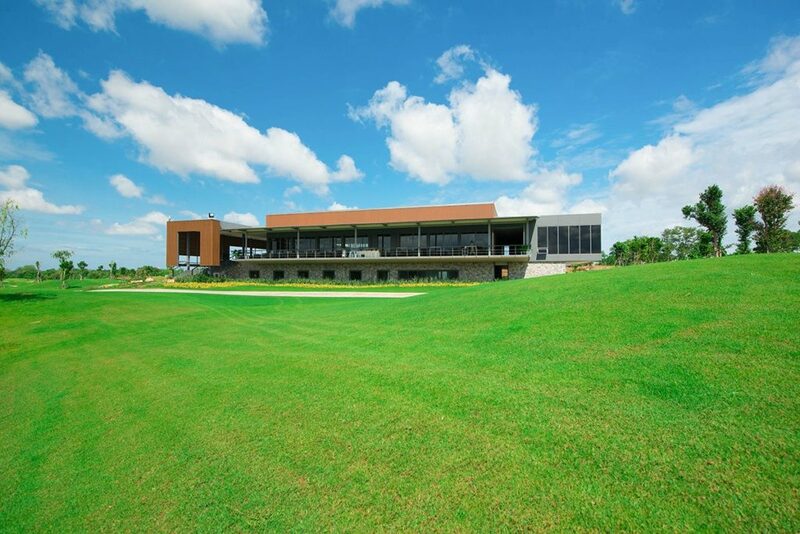 A separate clubhouse, overlooking the greens on the spectacular 9th and 18th holes, will be ready by early May, when the course is expected to officially open. It will overlook a 2300 square-metre practice putting green that is four times the size of a normal green, a 330-metre driving range and separate chipping green. Waterside’s 18 holes bring to 63 the number of holes at Siam Country Club, now Thailand’s largest golf complex. Its Old Course, which opened in 1971, was the first private golf course in Thailand, while the 27-hole Schmidt-Curley designed Plantation layout opened in 2005. Waterside, which features paspalum fairways and Tiff Eagle greens, is a par-72 layout that plays 7454 yards (6816 metres) from the championship tees, 6608 yards (6042 metres) from the blue tees and 6058 yards (5539 metres) from the white tees. The course will again host an amateur event from October 19-25 when the next Pattaya Amateur Week is scheduled.